A few weeks ago, when we were in the DMV getting my new license, we decided to go ahead and get personalized plates again. We had them in Florida (I had one for Texas too) but opted to forgo them here in Nevada to save a few bucks. Bryan really missed his plate though and if we were going to do one, we might as well do them both. In Texas, I had “LACER” (it was my gaming handle thought up by friend’s in the UK). 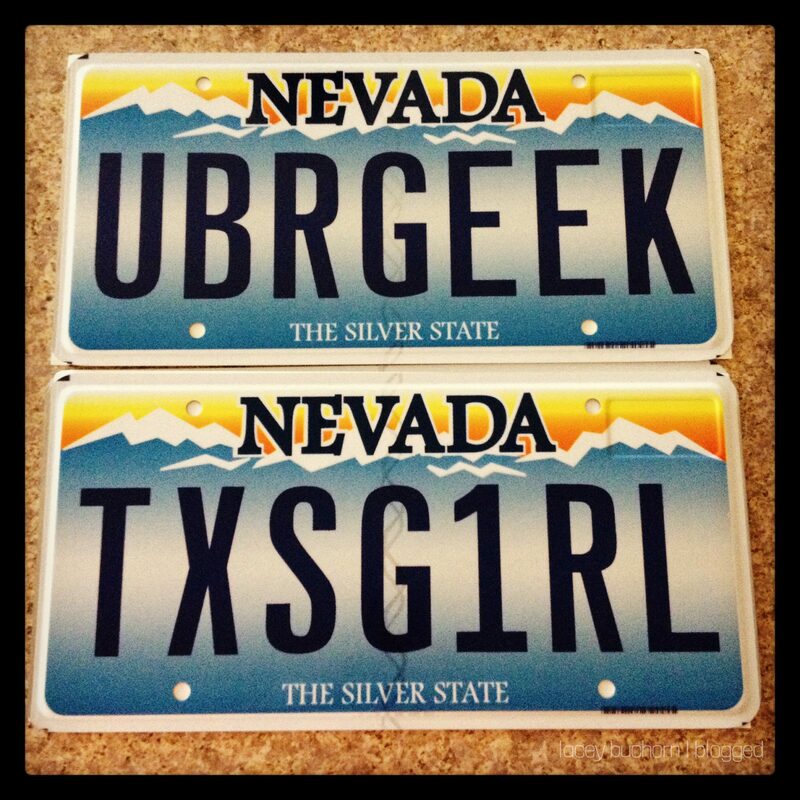 In Florida I had “AFYFE” and “GRLGEEK” and Bryan had “UBRGEEK”.